The Red Riding Hood came to her granny's house, saw there the hungry wolf and took to her heels. The gray predator is chasing her, and it depends only on your help whether he will eat the Red Riding Hood or not. Good luck! 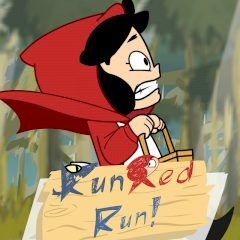 Games Similar Run Red Run!